Goodmorning, dear friends! We asked you yesterday to guess what this appetizer is made of on our facebook page and instagram. 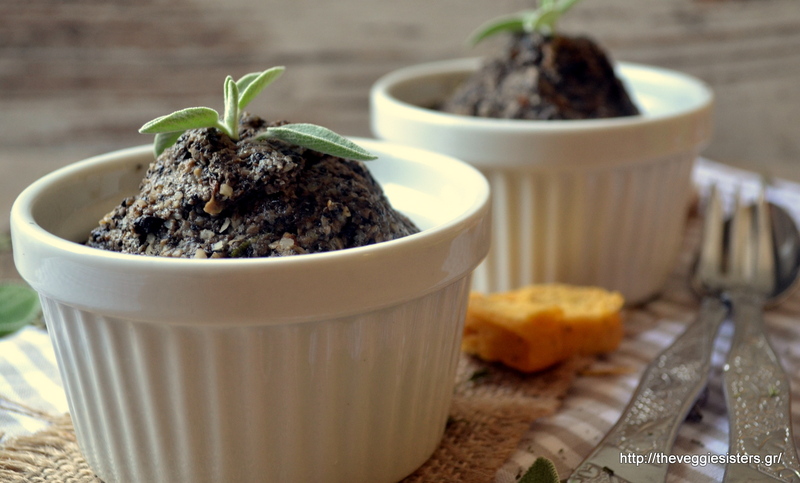 I admit that it is not appealing to the eye and looks like we have planted sage in a small pot with soil but the truth is that it is a really tasteful pate! It is made of mushrooms and brazilian nuts! 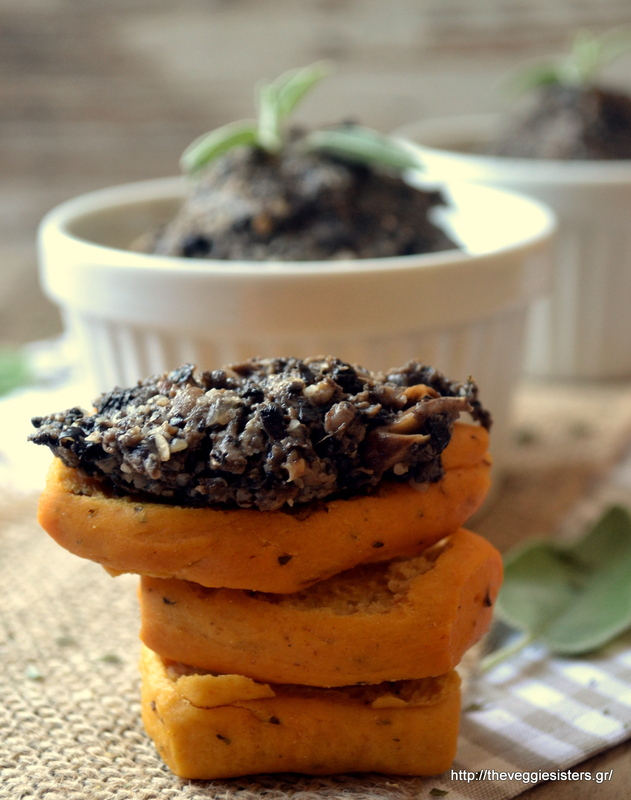 A healthy and special appetizer that is a crowd pleaser! Shooting this recipe was not an easy thing, it happened under funny circumstances! You see we are renovating our house and the day I made this I had the plumber in the house changing pipes in the bathroom…His son asked me politely while I was shooting: «Photography is your hobby, right?» Haha! No, foodblogging is my hobby, dear! Anyway, there is a lot of work that has to be done and it is hard to develop a recipe, cook it and shoot it under these peculiar circumastances. I have all kinds of technicians in the house every day, so it is tough…But nevertheless I will do my best cause I love foodblogging! Take care and have a lovely week everyone! In a big non sticking pan cook mushrooms, onin, garlic on medium heat until soft and all liquid is evaporated. Before removing from heat add olive oil, sage, peppermint and season with salt and pepper. Stir well. Allow to cool. In a blender pulse mushrooms until they form a paste. Add nuts and lemon juice. Pulse again until smooth. Add more lemon juice if you like it sour. Serve in two bowls. It pairs well with good quality bread, rysks, grissini. Enjoy! 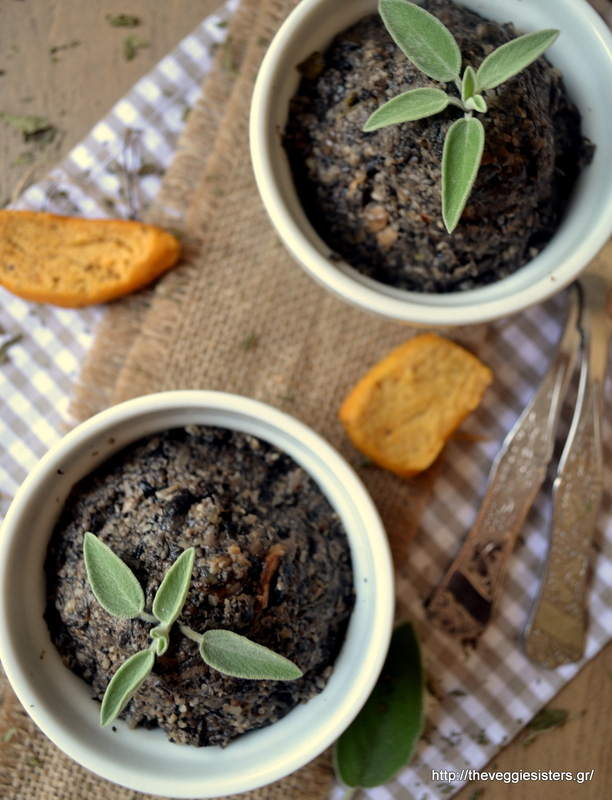 Share the post "Mushroom nut pate"